I have now been running my own wedding photography business since 2014 and have photographed over 60 weddings. All ranging from low key to large traditional weddings. I want you to have a nice range of images of your wedding day and I'm all yours from when you want me to start in the morning up to the evenings first dance. I like to shoot a wedding like I'm Documenting it, blending in with the crowd, not getting in anyones way and trying to capture the moments you don't see. I like to keep the tedious family group shots to a minimum and leave out the awkward couple posing for a more natural style while still giving you direction. I therefore would label my photographic style as a documentary wedding photographer or reportage style wedding photographer. You can view my Wedding Portfolio or look through my Blogs to give you a better idea on my style. I am based in Malvern, Worcestershire, although have shot weddings as far as Canterbury before. No matter where your holding your wedding I would love to hear from you to discuss your plans! 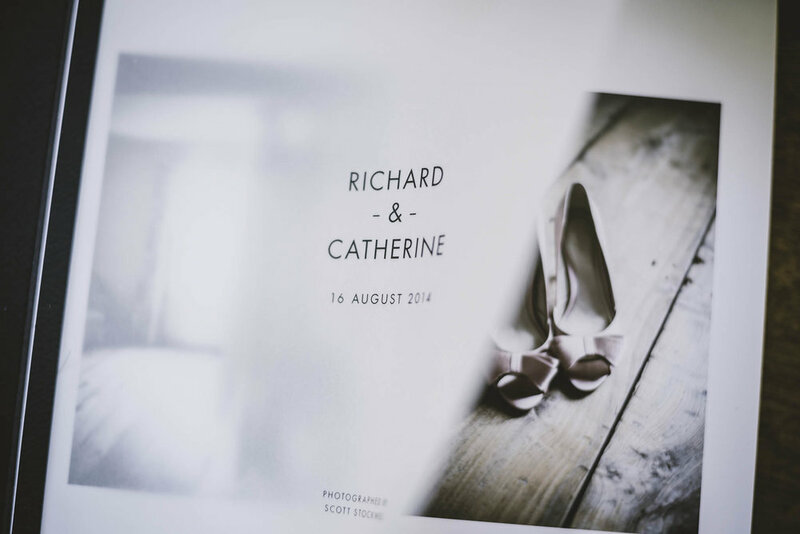 Lets be honest in the digital age were all guilty of taking photos and not printing them, which is why I always encourage all clients to invest in a wedding album of their day. 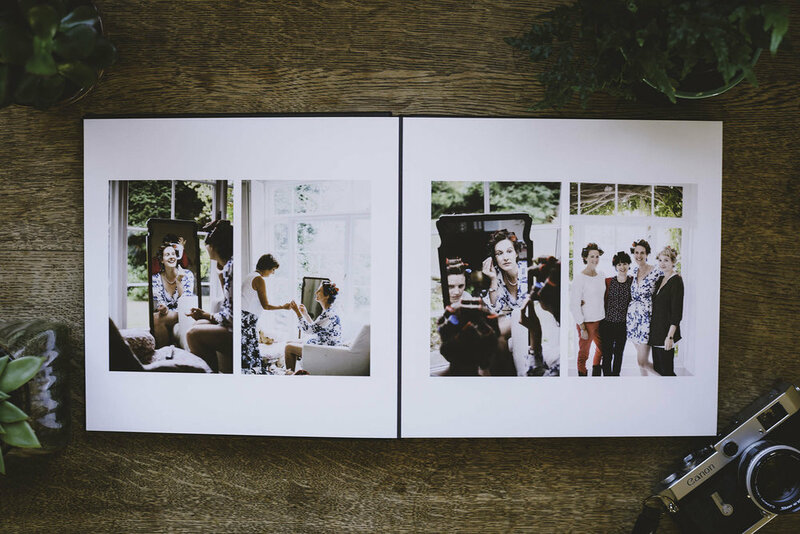 Let me introduce you to The Queensberry Flushmount album, this album has a nice weight to it while still being easy to handle. 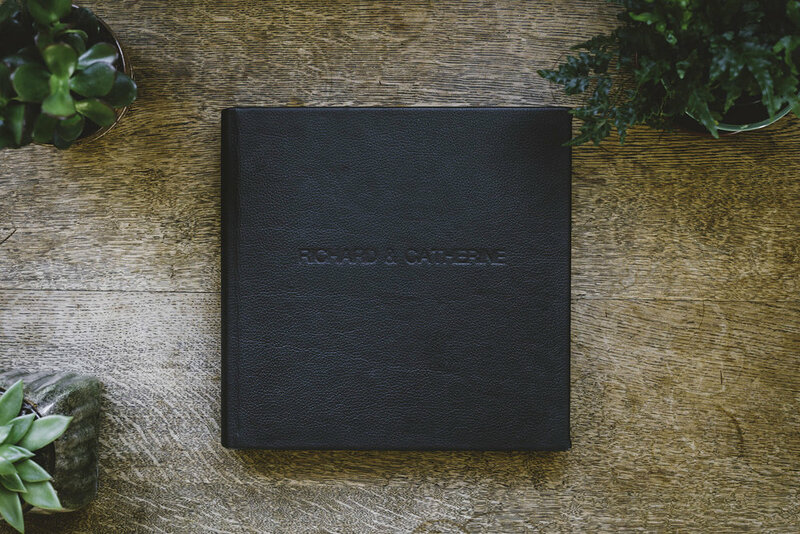 You will also notice its finer details with your names embossed on the front, its translucent page, the albums range of different materials and colours and how beautifully your images are printed on each page.